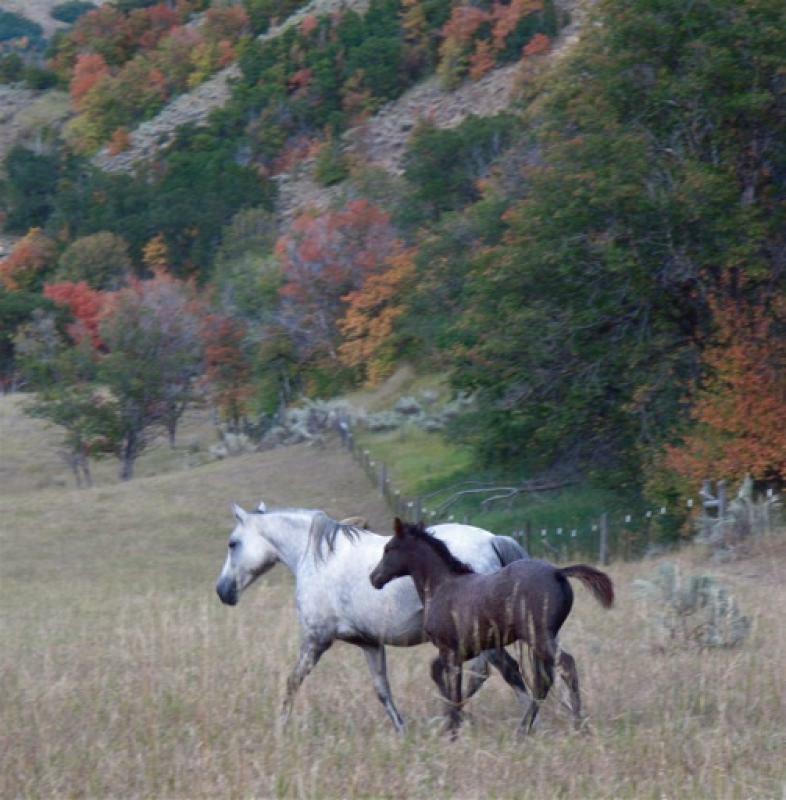 MO Foxtrotters&apos; foals are blue papered, handled regularly, smart & naturally gaited. They have great conformation and gentle people friendly dispositions. 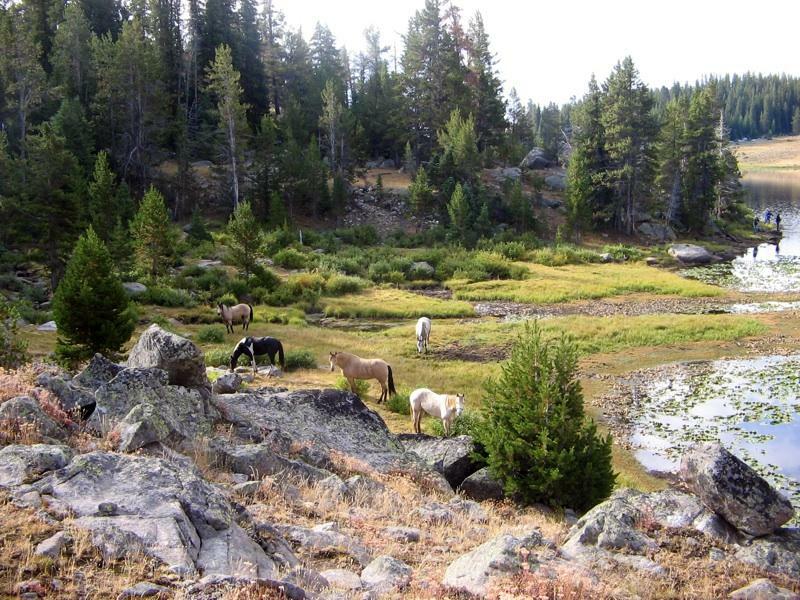 Mares and foals are in pastures with other horses to allow socializing and exercise. When mature, they range in size at 14.3 to 16.1 hands. 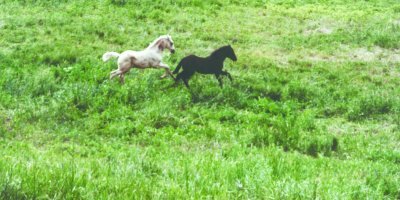 Uses for these quality foxtrotters include trail, pleasure, hunting, ranching or show. The Windrivers, WYO is one of the prettiest places we have packed in to. We were fortunate enough to take two of our grown children and their spouces. 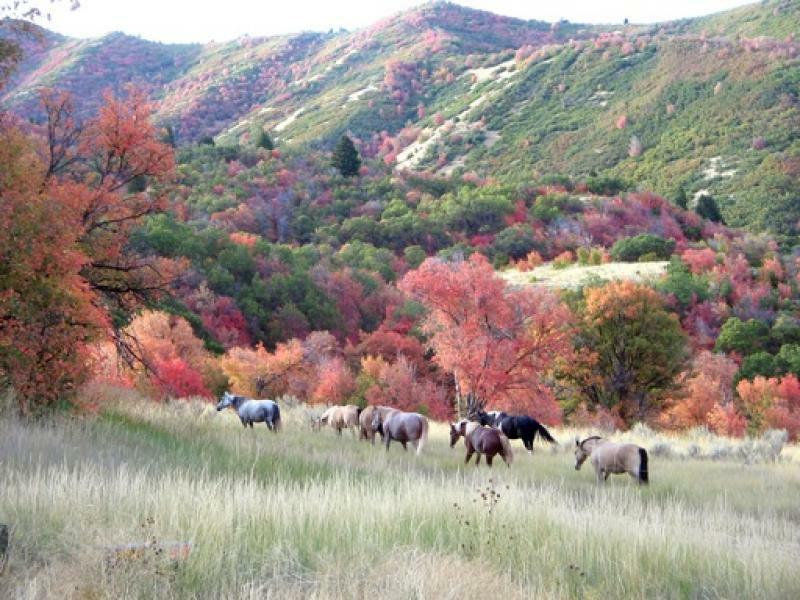 We rode six of our foxtrotters and took 2 pack horses. I must say, we had a great time and the horses were awesome! This was our campsite--great fishing! 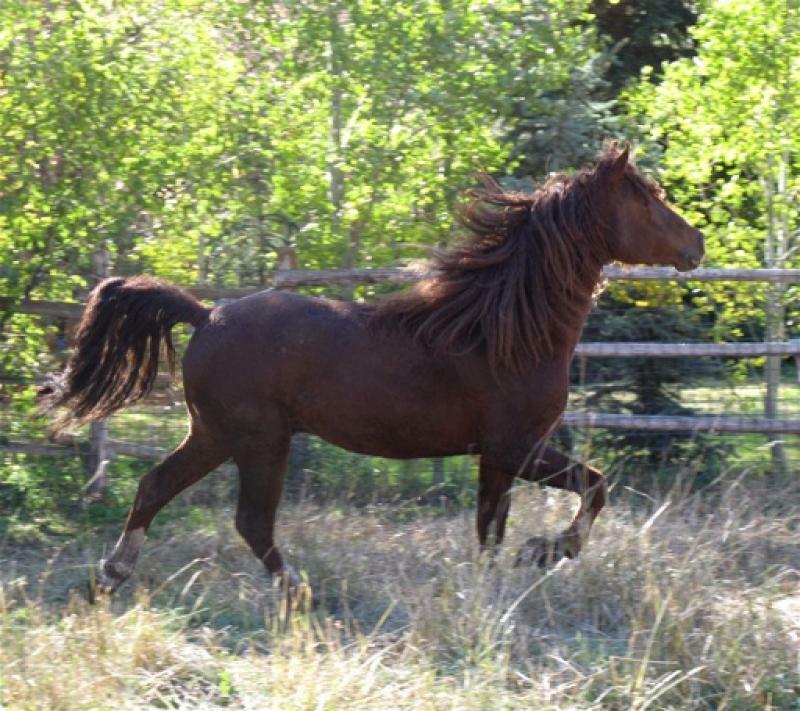 One afternoon we were standing around the campfire and noticed "Business" (My husband's foxtrotter gelding-- We can always say--He's gone on "Business") munching his way into camp. Suddenly, he grabbed THE bag of carrots out of the panniers! Spinning around, he ran to his buddies, shaking his head, spiling carrots everywhere--- much to the delight of his buddies. Yes, foxtrotters have tons of personality! The horse gods smiled on this day! 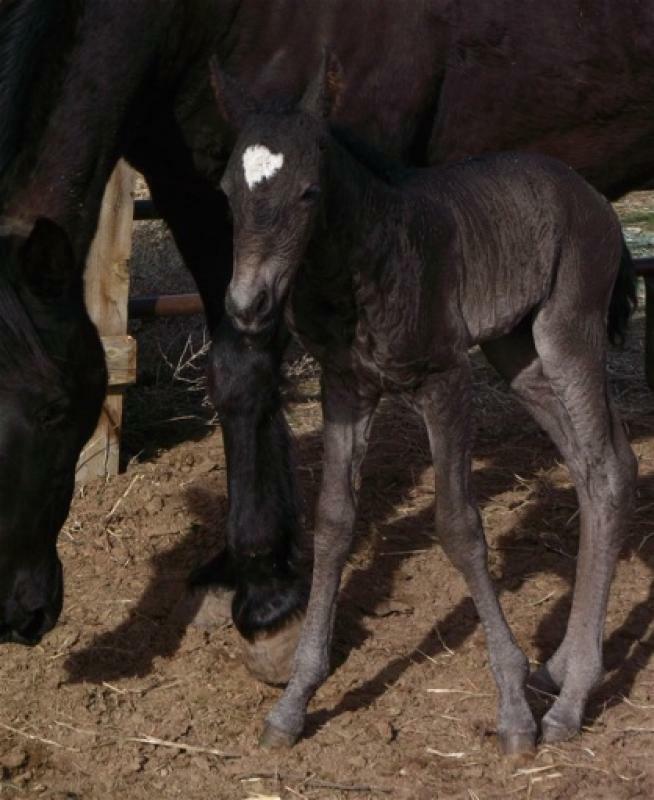 "MO Qui" (my first foal out of "Dallas") gave us a gorgeous smokey (I think?) 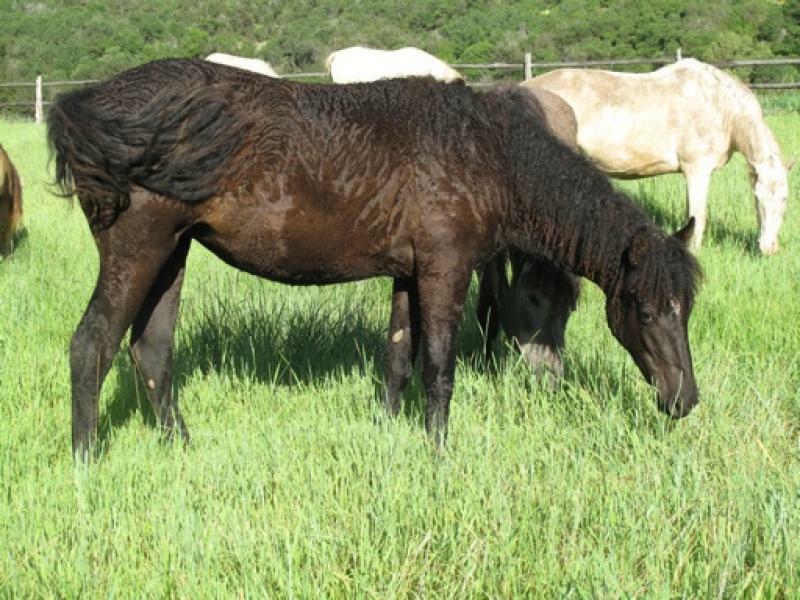 black CURLY FILLY!!!! She is gorgeous! Long legs, beautiful head, super friendly and curly! 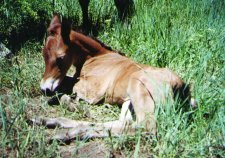 "Jo" is sired by "Danney's Legacy", an own son of "Danney Joe W." Incredible breeding! I am IN LOVE with this girl!